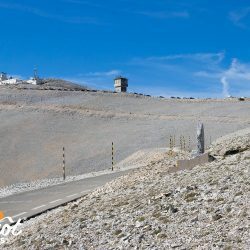 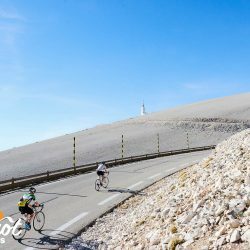 • Official Ventoux Club des Cinglés challenge: 3 ascents of Ventoux in a day. 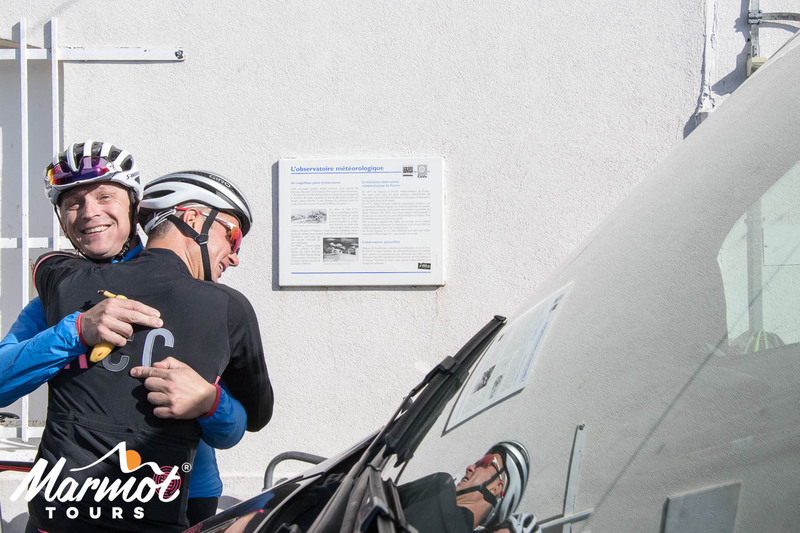 • Exceptional support from 2 experienced guides in customised vehicles. 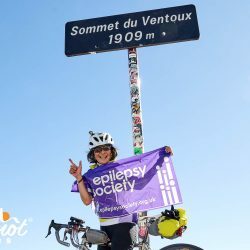 The trip was absolutely fantastic, the organisational and logistical skills were second to none. 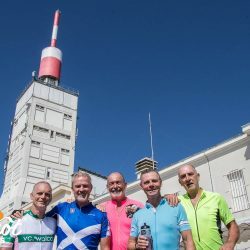 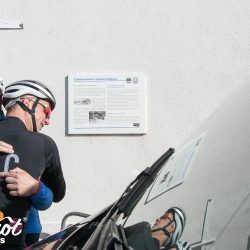 The ‘Club des Cinglés de Mont Ventoux’ translates as the ‘brotherhood of the Ventoux nutters’ – very apt for anyone that cycles up Mont Ventoux 3 times in a day from all directions (4443m ascent in 136km)! 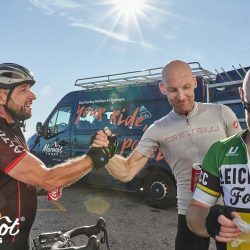 Marmot Tours loves a challenge and this ‘focused minibreak’ is a fantastic addition to our portfolio. 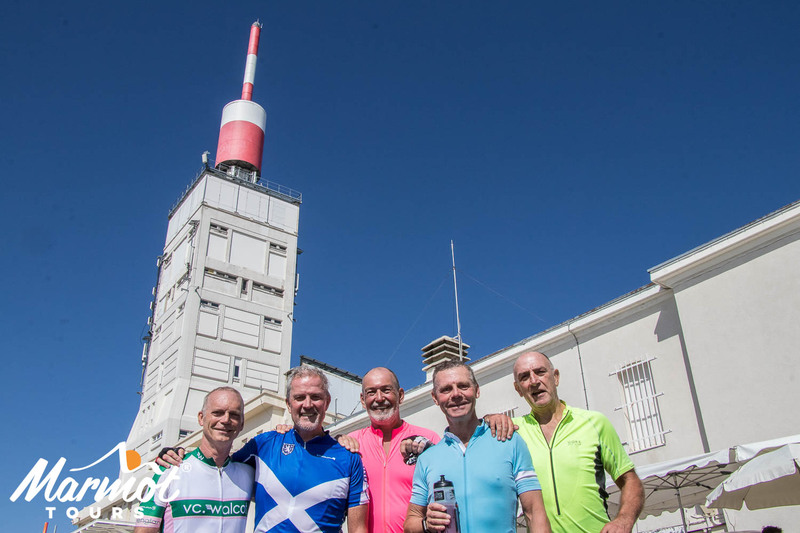 As usual, we follow the official route so you get awarded a certificate and substantial trophy if you make all 3 climbs, though there is no pressure to take part in the challenge if you prefer to just climb the mountain once (or twice!). 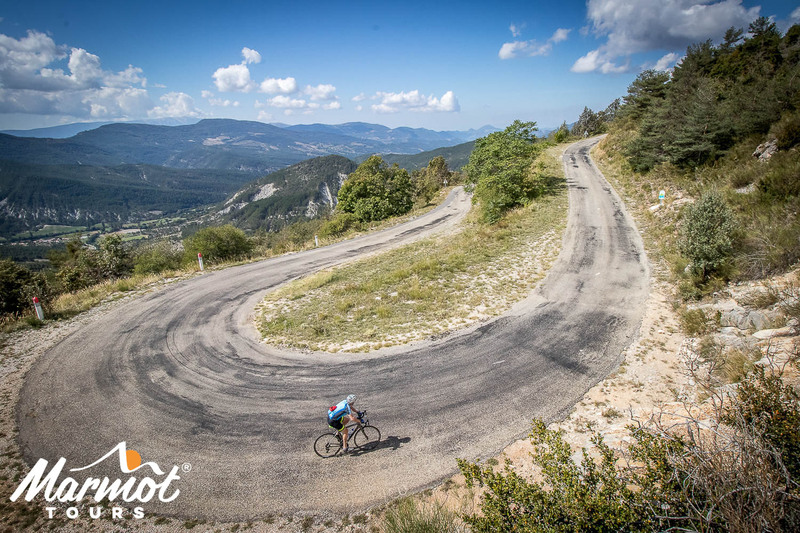 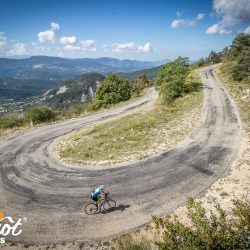 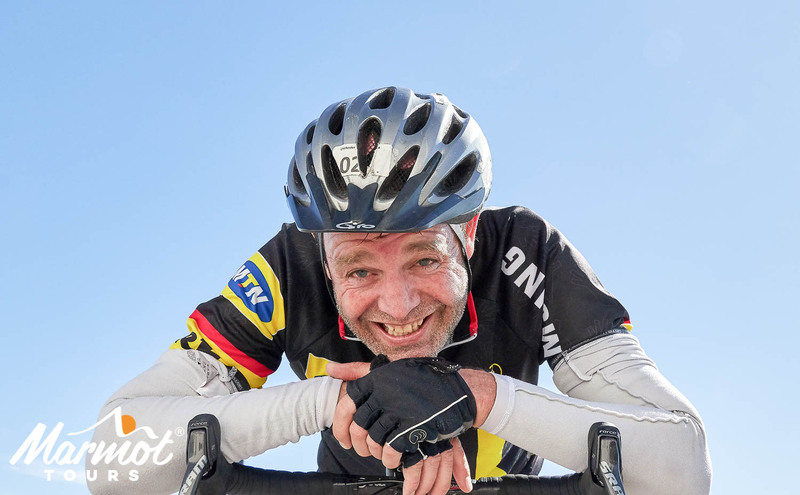 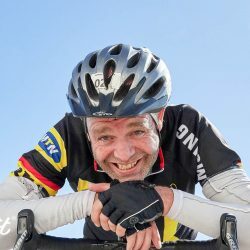 In order to give you the best chance of success on your Ventoux Assault, the mini break involves 2 days of cycling plus a warm up ride, so we can choose the day with the best weather for your triple ascent. 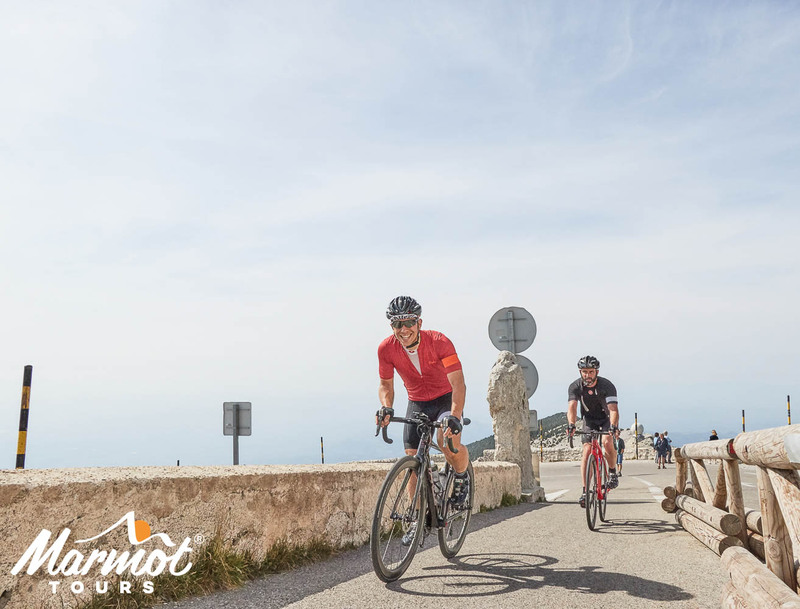 The 2nd full day on the bike offers a beautiful circuit through Provence, around the base of Mont Ventoux, with optional extras depending on how far you want to go. 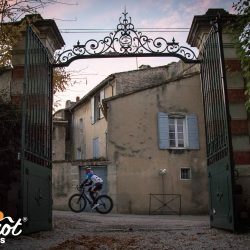 We stay in the perfectly located and very relaxing 3* Domaine des Tilleuls hotel with swimming pool, and eat dinner in the town of Malaucene, a short walk away. 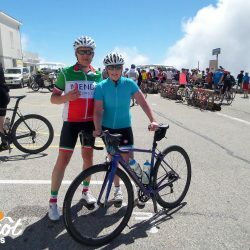 Non cycling partners are welcome to book too – to grab a couple of days R & R in great surroundings. 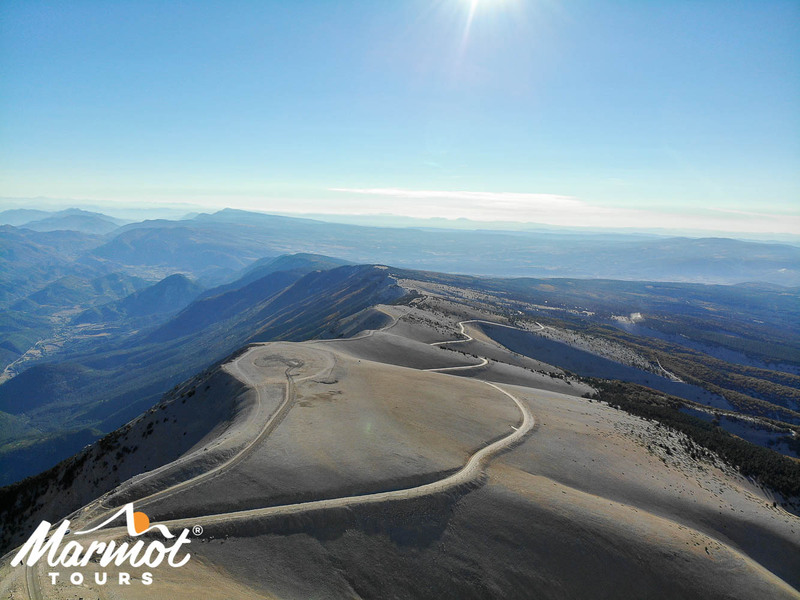 We offer included transfers from Marseille Airport to Malaucene at the base of Ventoux. 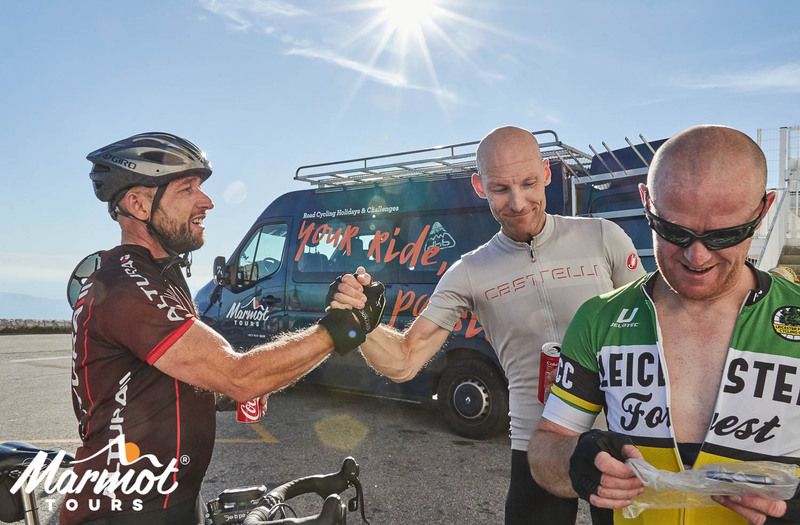 Meet your guides, assemble bikes and go for a pre-dinner ride in the hills to the West. 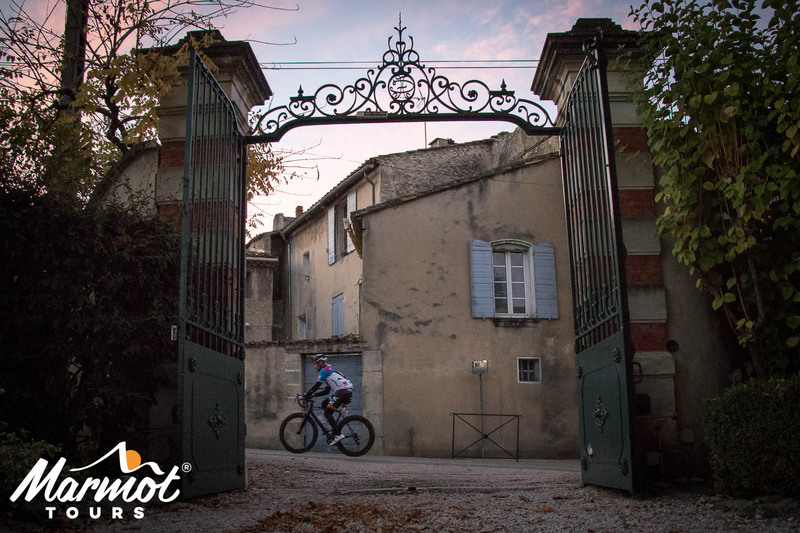 We suggest a 52km route through vineyards and rural villages, with 700m of ascent to warm up the legs and check that all is well with the bikes. 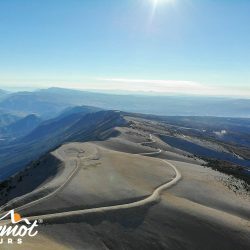 You may even get time for a quick dip in the pool before the evening meal. 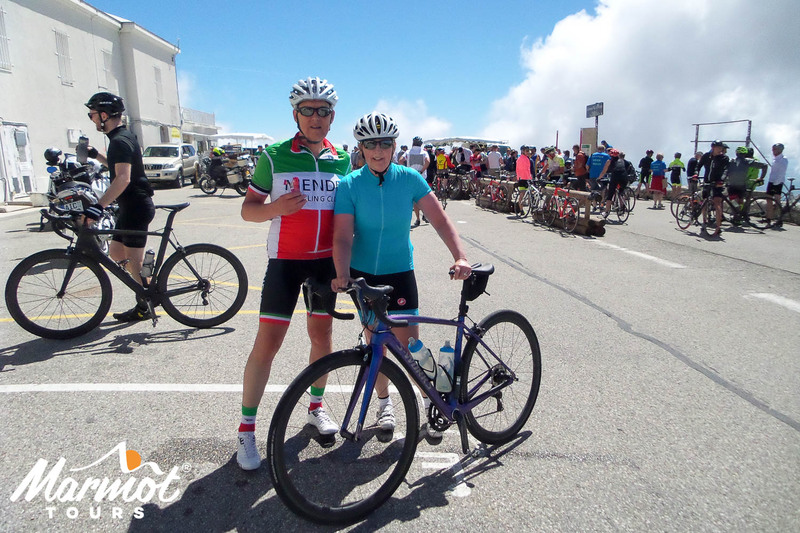 Branch off from Option 1 at Montbrun les Bains to climb up the Col de Macuegne (1068m). 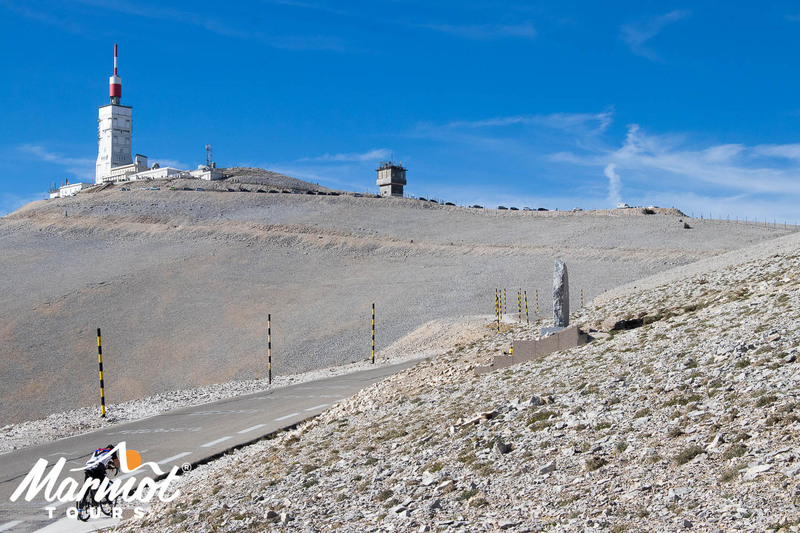 It leads you neatly into the Col de l’Homme Mort (1213m), a very pleasant climb, offering amazing views of Ventoux. 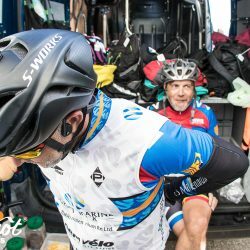 Descend into Sault to rejoin Option 1. 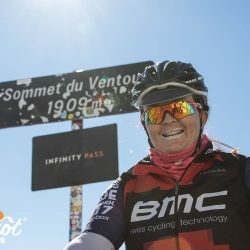 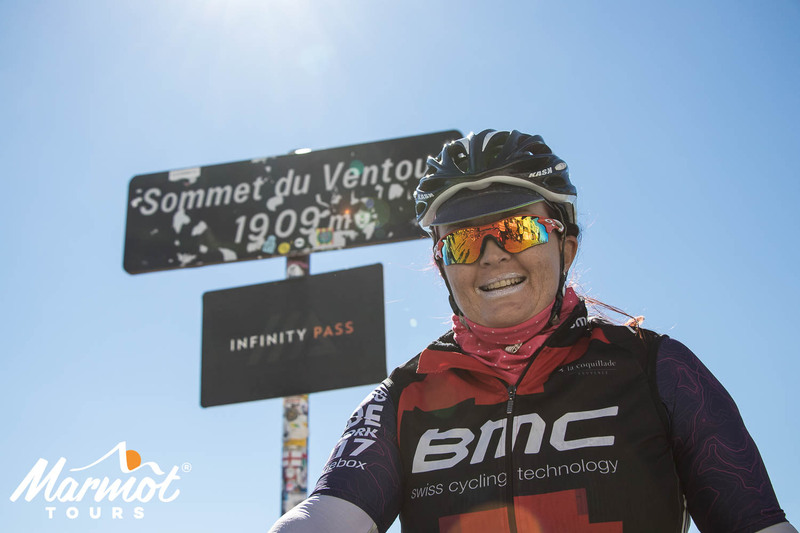 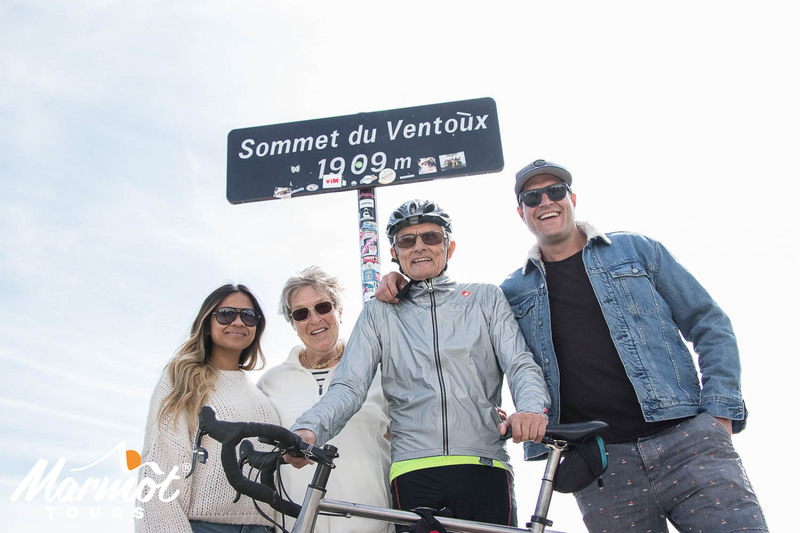 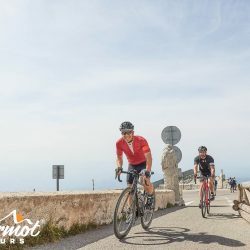 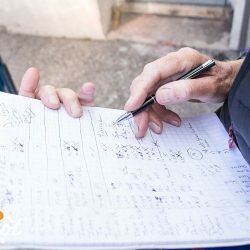 The rules are simple: ride all 3 roads up Mont Ventoux (1911m) in a single day, getting your route card stamped each time at the base and at the summit. 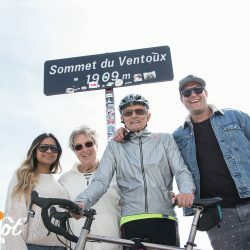 The ascent from Sault is the easiest so we will do this last,…the jury is out as to which of the other 2 (from Bedoin or from Malaucene) is the tougher! 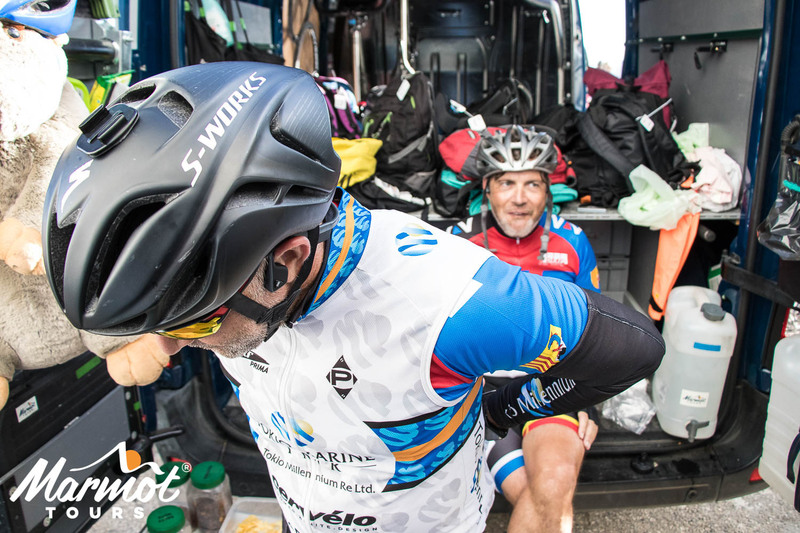 With our 2 support vehicles we will be there to support you regardless of your speed and would like to emphasise that there is no pressure to complete the challenge. 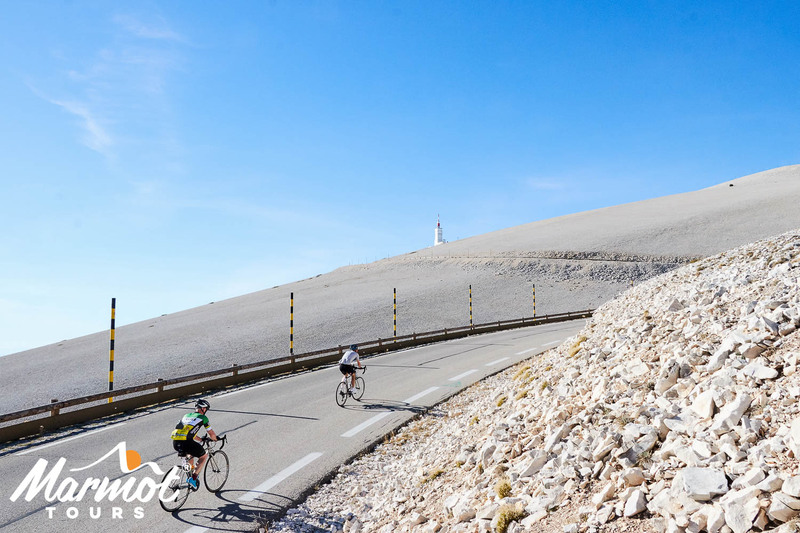 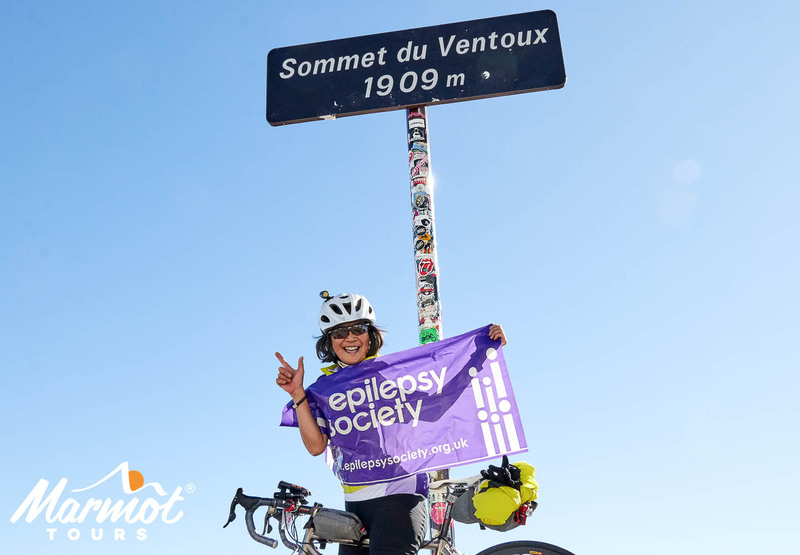 Climbing Ventoux just once is an achievement and this is an opportunity to meet your own personal goals. 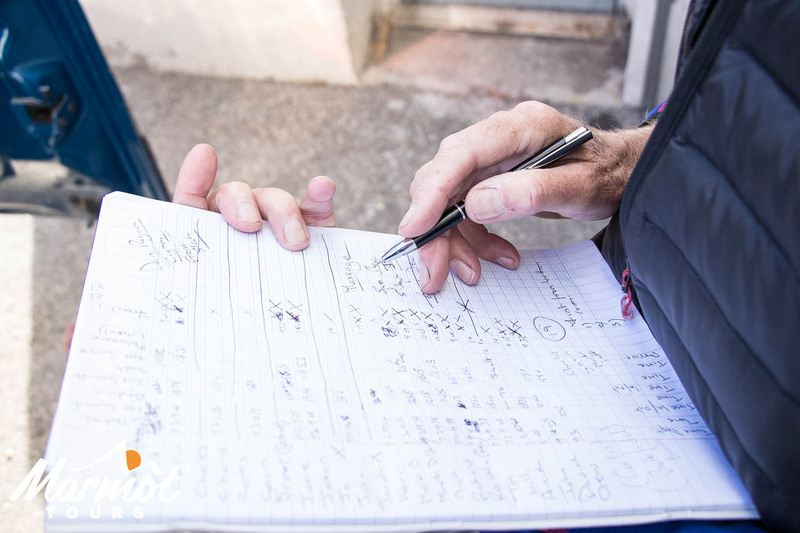 Our included transfers drop you at Marseille Airport.